The publication of Orhan’s Inheritance comes as pressure on Turkey to acknowledge its role in the Armenian genocide of 1915 appears to be reaching critical mass. A century is a long time; perhaps this will be the year when progress can be made toward healing this open wound. 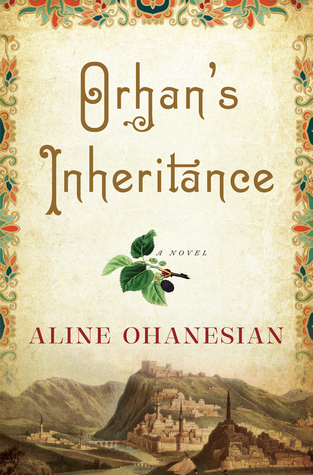 Set in 1990 and 1915, Aline Ohanesian’s debut novel serves as both an introduction to the history and current issues and a compelling story of physical and cultural survival. Orhan Turkoglu, a young businessman living in Istanbul is called home to a tiny village on the outskirts of Sivas, in Central Anatolia, known as “the other Turkey,” when his 93-year-old grandfather Kemal is found dead. Orhan learns that he is to inherit the family’s business, to his father’s dismay. But even more disconcerting to Orhan, his father, and his Auntie Fatma is the fact that his grandfather has bequeathed the small home in which he and Fatma have lived for 70 years to someone named Seda Melkonian, a woman no one has heard of. 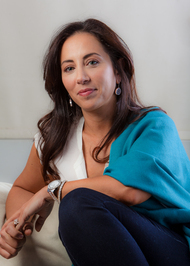 Seda is similarly disillusioned with the recent renewed interest in the Armenian past. “Everyone is an amateur historian,” she thinks. “They use words like witness and genocide, trying to bridge the gap between her past and their own present with words. She wants nothing to do with it. But the other residents have fallen under a confessional spell. They’re like ancient tea bags steeping in the murky waters of the past, repeating their stories over and over again to anyone who will listen.” Seda refuses to think of her past, telling those who ask that she can’t remember. This is the formidable woman Orhan must confront with his grandfather’s will. He wants only to know what her connection to Kemal is and to obtain her signature. But Seda is stubbornly close-lipped, refusing to tell Orhan anything, afraid to revisit a past she is convinced will destroy her. Needless to say, there is far more to the story than Orhan could ever imagine. Before long, we are taken back to 1915, when Kemal was an 18-year-old Turk living in the village of Karod during the last days of the Ottoman Empire and working for a wealthy ethnic Armenian family, as did many Turks in Sivas. With World War I and the empire’s alliance with Germany came the scapegoating of the Armenians in Turkey and what today we would call ethnic cleansing. The men are taken away to places and fates unknown, and the women and children are marched across central Turkey into what is now Syria. Those familiar with other genocides and ethnic cleansings in the past 100 years know the story well; it is virtually the same every time. The bulk of Orhan’s Inheritance tells the story of Kemal Turkoglu, who is drafted into the Ottoman army, and the experiences of Turkish soldiers and Armenian civilians during the war. Ohanesian provides readers with a close-up view of both sides of the conflict through the eyes of young Kemal and the Armenians we met earlier in Sivas. Although survival against all odds during war is a familiar story, the details of this particular exodus and suffering are unfamiliar to most people. It is a story of callous disregard for the humanity of fellow citizens now deemed “the enemy,” nearly inconceivable sacrifice and suffering, and an indomitable will to live. His inheritance is not the family business or home, but the truth about his family, the war, and the nature of the relationship among Turks and Armenians then and now. Ohanesian deserves credit for keeping the focus on her heart-wrenching story and avoiding turning her novel into a polemic against the Turks. Few are completely innocent, and some of the guilty remain recognizably human. Nearly all are caught up in forces beyond their understanding or control, and survival is the only objective. The characters have positive and negative things to say about both the Turks and the Armenians. Orhan’s Inheritance is a moving portrayal of people at their best and worst. It’s a history lesson we all need to be reminded of from time to time and, in this case, a chapter most have never read in the first place. The hundredth anniversary of the Armenian genocide is a good time to learn about this particular example of suffering and survival. As always, stories can and will save us. I have to read this just because of the historical significance. Thanks for the review.